Three long weeks of holiday! But it needn’t feel like a burden for those with children. With a list of events that will keep both parents and kids happy, this winter break promises to be a good break all round. If your children are aspirant musicians this is a chance to watch other children play, for the 10 day festival gives talented young South African musicians the platform to study and perform. 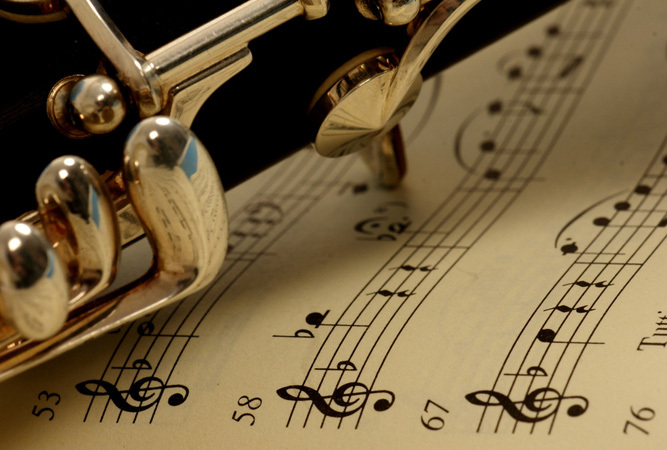 See musicians aged between 12 and 28 in a variety of concerts. Book your place to stay in Stellenbosch. How fast will the kids have to turn a merry-go-round to boil the water in the kettle? How does a generator work, or could wave energy be South Africa’s answer to its energy needs? Find the answer to these questions and more – solar toys, wind generators, a bungee-jumping bear, hands-on experiments – in Hermanus, and see whales from one of the world’s best land-based viewing points. Book your accommodation in Hermanus. Music, outdoor activities, winter goodies and a feast of creative arts. Dullstroom comes to life for two days to entertain families who enjoy the midwinter Christmas theme. Christmas lights combine with big discounts at local restaurants and shops as well as a range of things to do that include: clay pigeon shooting, golf, a tagged trout event, cheese, artisan beer, chocolate, coffee and wine tastings, art exhibitions, whiskey tours and fun for the children (horse riding, mosaic making, painting and sand art). Find a place to stay in Dullstroom. What a lineup: Gerhard Steyn, theatre for the little ones, a kaleidoskope of music (over 200 musicians), Koos Kombuis speaks about Miley Cyrus, Altus Theat, and Laurika chats about her new album. Daily drama, classical music, books, the KYKnet kos-crawl, jewellery, art, movies, buskers, activities for little ones, hundreds of arts and crafts stalls, a beer garden and a number of surprises. Why wouldn’t you? 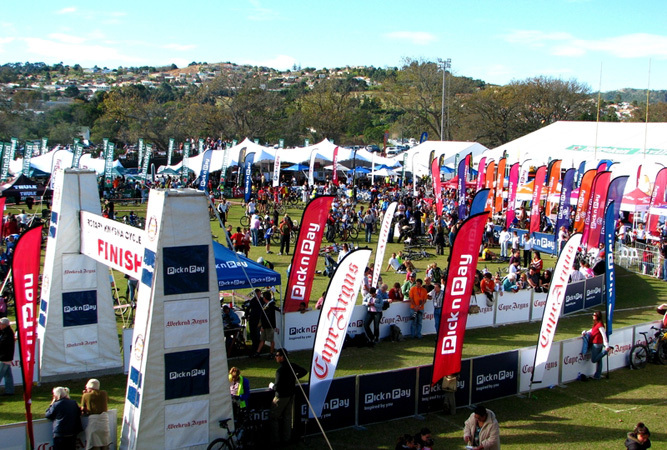 A celebration of the good life and sport, Knysna’s 10-day winter festival promises fun and activities for the whole family that include two major sport events – the Pick n Pay Cape Times Forest Marathon and the Pick n Pay Weekend Argus Rotary Cycle Tour. Mid-week additions include the Geo Oyster Geocaching Competition, the Pick n Pay Fun Event for the physically challenged, the Navigation Drift Dive Challenge and the Night of 1 000 Pictures (a photo exhibit, illustrations and paintings to raise funds). All of this to the accompaniment of wine and oysters. Find a place to stay in Knysna. The biggest bodyboarding contest in the country and Plett’s longest running event attracts over 150 entrants that include South Africa’s best bodyboarders who compete for the ‘King of the Wedge’ title. The Wedge is Plettenberg Bay’s iconic surf spot opposite the Beacon Isle Hotel – a group of rocks act as a landmark for the powerful waves that break on the sand close to shore in the left corner of the beach. Find a place to stay in Plettenberg Bay. If you’re looking for an excuse to head to the Waterberg this July, then look no further. This annual festival is held in the heart of the bushveld, and has been since 1986. Expect cattle shows, a game auction, horse jumping, dog shows, agricultural activities, a three-day 4X4 competition, hunting, bird and tree identification competitions, traditional boere kos (food), a beer tent and huge camp fires. Book accommodation in the Waterberg. In similar vein to the Ellisras festival above, Hoedspruit’s version also began around a game auction, which still occurs (just not to the scale of the past). The event takes place on the Blyde Wildlife Estate just outside of town, and you can expect to watch planes perform acrobatics, chat to pilots about their planes, food and drink stalls, and a beer tent. Book accommodation in Hoedspruit. The annual pet expo will feature a hall of dogs, cats, birds, fish, exotic pets and reptiles, and the Wodac National Cat Show. Even horse lovers will be wowed by a programme devoted to the Magic of Horses. The whole family will enjoy the various events and top show dogs. Chat to breeders and visit clubs offering advice on pet ownership. There is something for everyone. The Vry Festival is an annual arts festival held on the university campus. A feast of performing and visual arts and literature it is now in its 13th year, founded by the University of the Free State and the Volksblad newspaper. Expect drama, comedy, music, dance, arts films, food and wine, book programmes, exhibitions, youth productions and more. This year sees more drama, a greater variety of speakers and events, market stalls and free music stages. Find accommodation in Bloemfontein if you want to attend this festival. Two days of biltong, castle lager, hundreds of stalls and the hospitality of the people of the Karoo. And there is plenty for the children too – face painting, paintball, jumping castles, 4×4 quad bikes, various musical acts, arts and crafts stalls and, of course, biltong. Find accommodation in Somerset East (but book quickly!). This is the country’s major cultural event with a choice of the very best of indigenous and imported talent. Eleven days of arts, crafts and entertainment. Every hall or large room in Grahamstown is converted into a theatre, whilst parks and sports fields become flea markets. Over 50 000 people head at this time of year to Grahamstown to watch over 500 performances of opera, cabaret, drama, jazz, dance, classical and folk music. Book accommodation in Grahamstown for this event.